Home News and Politics No Turkey at the First Thanksgiving? 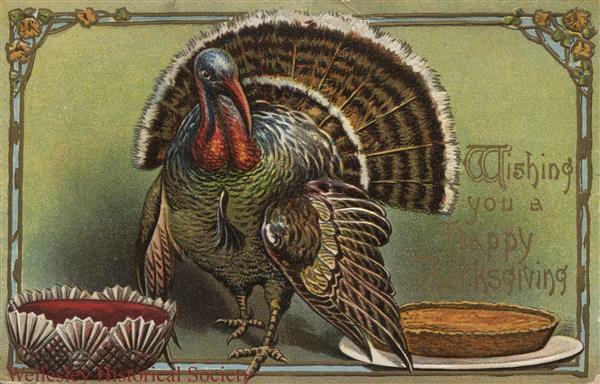 It’s probably not all too shocking to find out that the first Thanksgiving, which may have occurred as early as 1607, (though historians are divided even on the exact timing) was drastically different from what we may think about the holiday now. Despite all the differences that would e tend to forget, whether it is the distinction between puritans and pilgrims, the origin of the holiday in Jamestown, Virginia, or the ongoing conflict between the settlers and Powhatan tribe that led to an eventual war, nothing may be more surprising about the first Thanksgiving than the lack of the holiday’s most iconic entrée. First of all, despite not knowing the precise year when Thanksgiving festivities took place, the “first Thanksgiving” that most Americans learn about in elementary school took place in 1621, and the celebration itself would become a national holiday in 1863. The sad truth is, however, that it is extremely unlikely that turkey was served at the first Thanksgiving, according to Andrew Beahrs, a historian and writer, whose full article on the topic can be found here. 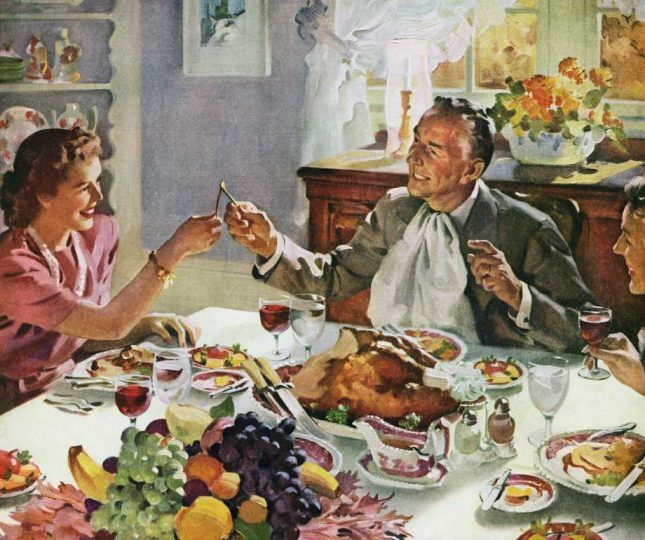 So, What Actually was Served at the First Thanksgiving? In reality, a number of the “traditional” foods eaten nowadays had no presence in early Thanksgiving celebrations. As far as we know, in place of our traditional poultry were other forms of fowl, possibly including duck and geese, which given their prominence during this season in the Virginia-area, would make sense. So, Why do we eat Turkey on Thanksgiving? This is another point where people aren’t entirely sure, but we have a pretty good guess. Around the same time that Thanksgiving officially became a national holiday, during Lincoln’s presidency, a lobbyist and magazine editor named Sarah Josepha Hale pushed for the inclusion of Thanksgiving as a national holiday. Hale, who had written several novels on the American Experience, as well as the art of cooking, felt that Americans had too few national holidays (at this point, Thanksgiving was celebrated largely in New England alone), and that a period of remembrance would help to alleviate some of the growing tension between the north and the south of the US. It also so happens that, in her novel “Northwood,” Hale described her vision of an ideal Thanksgiving dinner, which, in addition to calling for Thanksgiving mainstays such as pumpkin pie and sweet potatoes, romanticized the presence of turkey as the primary dish on a Thanksgiving table. It may have taken a few years, but turkey inevitably became the archetypal Thanksgiving food; and regardless of its origin, who could imagine Thanksgiving without it?